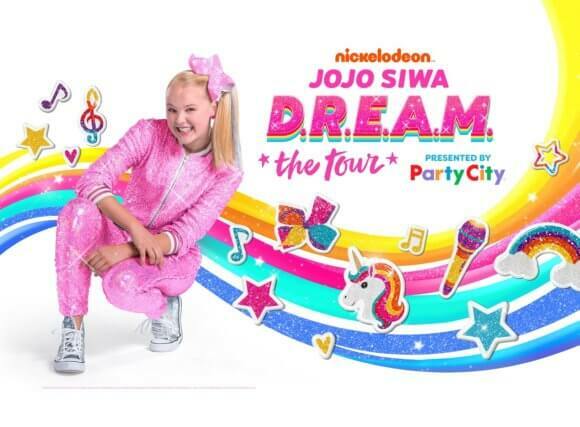 JoJo Siwa’s 2019 “D.R.E.A.M. The Tour” has just expanded by 17 dates. The tour marks the first North American tour for the Nickelodeon star who’s about to launch her second EP, Celebrate, on Friday, April 12th. The new EP will feature four songs – “It’s Time To Celebrate,” “#1U,” “Worldwide Party,” and “Bop!”. The just-added dates include stops in Indianapolis, Birmingham, Memphis, and New Orleans. “D.R.E.A.M. The Tour” will kick off in Phoenix, Arizona at the Comerica Theatre on May 17th. The tour is scheduled to wrap up on September 17th in Grand Prairie, Texas at The Theatre at Grand Prairie. Tickets go on sale to the general public beginning Friday, April 12 at 12pm local time via JoJoDREAMTour.com. American Express Card Members will be able to participate in a special presale on Wednesday, April 10th at 10am local time. July 18 – Richmond, VA Virginia Credit Union LIVE!